He can expect much worse from the thuggish Obama administration now that he’s testified in front of Congress. Gregory Hicks, former deputy chief of mission in Benghazi, told Congress today that a State Department official began criticizing his job performance, and he was ultimately demoted, after he asked why U.S. Ambassador to the United Nations Susan Rice attributed the Benghazi attack to an anti-Islamic Youtube video. 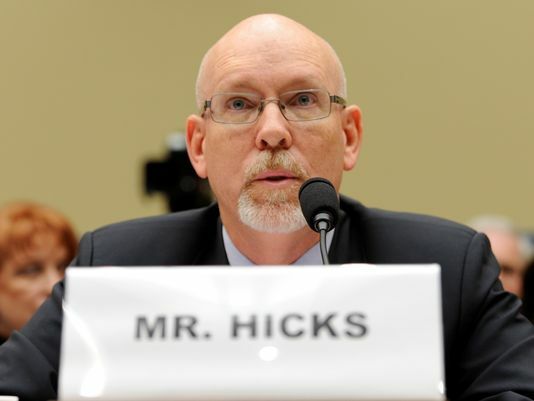 “In hindsight, I think it began after I asked the question about Ambassador Rice’s statement on the TV shows,” Hicks said of the criticism during a House Oversight and Government Reform Committee hearing on the attack today. Hicks said he asked Assistant Secretary Beth Jones why Rice made the statements that she did on the 9/16/13 Sunday talk shows. “Her reaction was ‘I don’t know,’ and it was very clear from the tone that I should not proceed with any further [questions],” he told lawmakers.